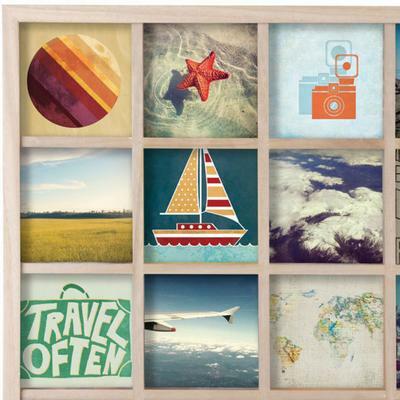 The Umbra Gridart Photo Display lets you showcase your best pictures in a stylish way. 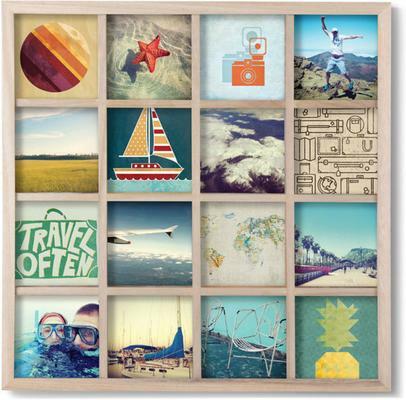 Pictures are memories so why not display them for everyone to see using this cool grid display frame! Take images with a theme like all black and white, all portraits, all pet photos, all vacation photos or anything else you can think of. Place it here and hang it up on your living room wall as a beautiful wall art display. The grid style look is great for adding a pop art style to the display. Meanwhile, the wooden finish gives it a slight rustic look, allowing it to go well inside traditional rooms aside from modern ones. You can also take this frame and give it as a present if you want. Customise or personalise it and your recipient will adore it!